So, lately we’ve had some rain. Okay, we’ve had a lot of rain. Not exactly the type of weather that entices you into the garden. However, the rain hasn’t entirely dampened our desire to garden, and we’re all ready to get outside in some sunshine. As the weather lightens up, we want to be ready! We want to help all our fellow gardeners get going as soon as possible to get the most out of this gardening season. Despite the cold and wet weather, now is a great time to plant! Anything we have in the nursery is good to go in the ground. Keep reading to make sure you’re prepared to start your garden project. This blog offers an overview of a few necessary components for all projects under "Getting Started", and then gets into more specific plant suggestions under "Garden Projects." What will you be growing? A quick note about soil pH (measure of acidity or alkalinity): it’s often overlooked yet important to address because it influences how easily plants can take up nutrients from the soil. Start off your projects by testing the soil pH. Most plants prefer being in soil with a pH of 6.0-7.0 (this varies in different plants, so we recommend doing research to tailor your soil pH for your garden needs). Climates with high rainfall, such as the Pacific Northwest, tend to have acidic soils. If you would like to raise your soil pH, add lime to your soil; to lower your soil pH, add sulfur. 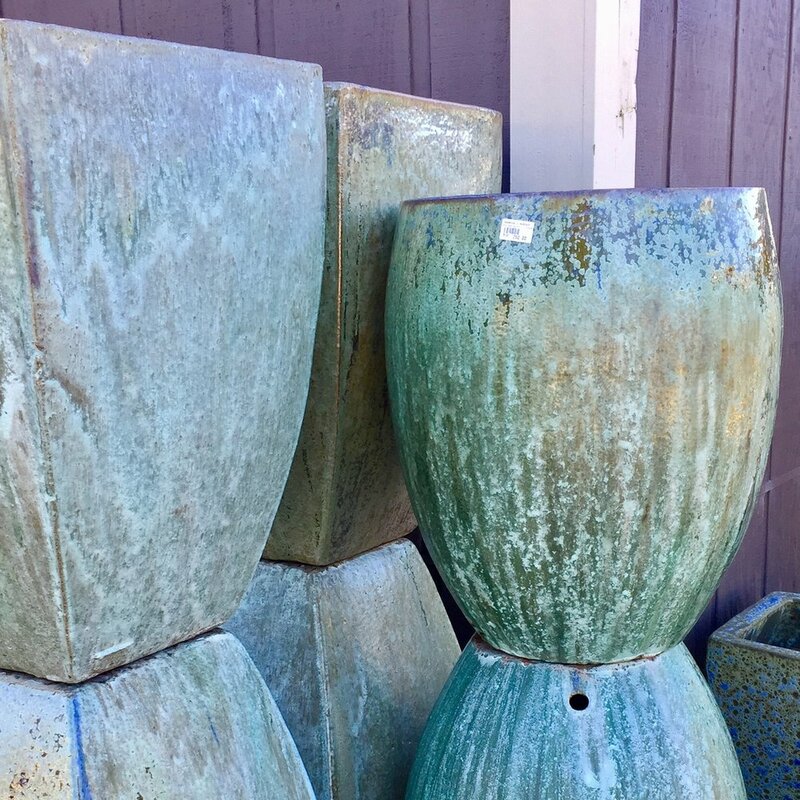 Ask us which forms of these are best to use in your garden. Having the right tools for the job can make all the difference! Make sure you’ve got these basics to make your project go smoothly. Gardening gloves. Water-resistant varieties are nice to have, especially for your heavy-duty projects. Trowel. This tool has a metal scoop-shaped blade for reducing hand fatigue. Planting, transplanting, and working with soil are all much easier with the help of a trowel. Tub Trugs. These tubs are perfect for just about everything. Think: collecting recyclable pots, weeding, gathering dead-headed flowers, or transporting new plants from car to garden! Kneeling pads. Soften the impact on your knees with a little foam between you and the earth. Sluggo®. Defend your garden against the slugs and snails! Hori Hori knife. A Swansons' employee favorite! This tool is great for a variety of weeding and digging projects. Dramm® watering head. These watering accessories make life easier with different speed and pattern settings for water flow. Have carrots? Use the mist setting. Watering in trees and shrubs? Select a heavier flow setting. When planting in the ground, think about amending your soil with compost or a similar amendment. If you’re growing veggies, add a richer amendment like G&B Organics® Harvest Supreme. This has a blend of manures perfect for your veggie garden! Mix in up to 30% with native soil. For just about everything else, pick up G&B Organics® Soil-Building Conditioner. This amendment enriches as well as helping the structure of the soil. Mix in up to 20% with native soil. When planting in containers, we recommend E.B. Stone® Edna’s Best Potting Soil. It has been specially formulated for containers, engineered to enhance root development and provide excellent drainage. Avoid using native garden soil in containers, as it can develop compaction and disease issues. Seattle Tilth's Maritime Northwest Garden Guide. This resource is a month-by-month manual of garden tasks, plant lists, and gardening strategies, all tailored to the Pacific Northwest climate. Edible flowers: Bachelor buttons are white or deep blue flowers that attract beneficial insects; Annual Poppies; Nasturtiums have bright orange and red flowers with edible leaves, too. 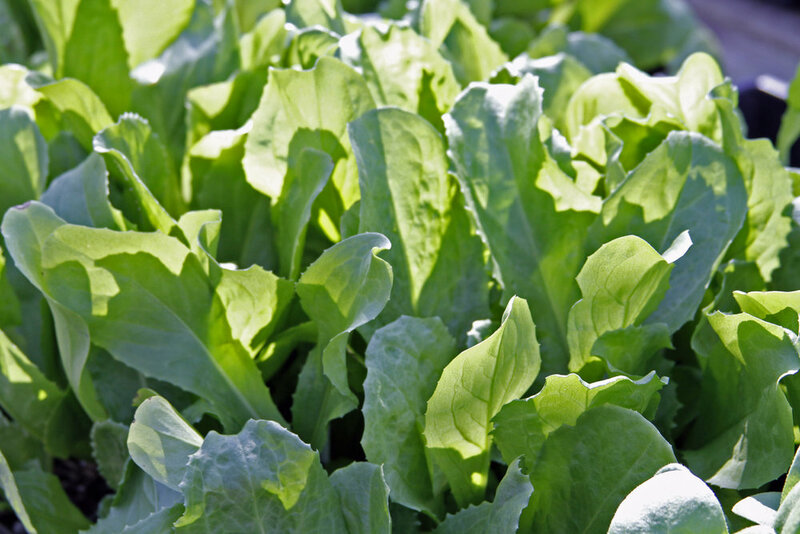 Veggies: Kale and lettuces are great for their low maintenance, high production, and partial-shade tolerance. Peas, radishes, seed potatoes, soft neck garlic, shallots, and onions are all delicious additions to the veggie garden. Following the Early Spring Sale, we have an Overstock Sale on our Bare Root plants. They're all 50% off, while supplies last! Please be advised that quantities are limited and sell out rapidly. Horseradish, Walla Walla onions, and rhubarb - not fruits, but they are delicious bare-root plants to consider! As you’re planting your flower garden, think seasonally. Plan for plants with different blooming periods that you can stage so you always have some flowers in your garden. Dr. Earth® Rose & Flower Fertilizer. Use as directed on the label to give your flowers a boost! Wallflowers (Erysimum) will be blooming through summer and hellebores have been blooming since winter. 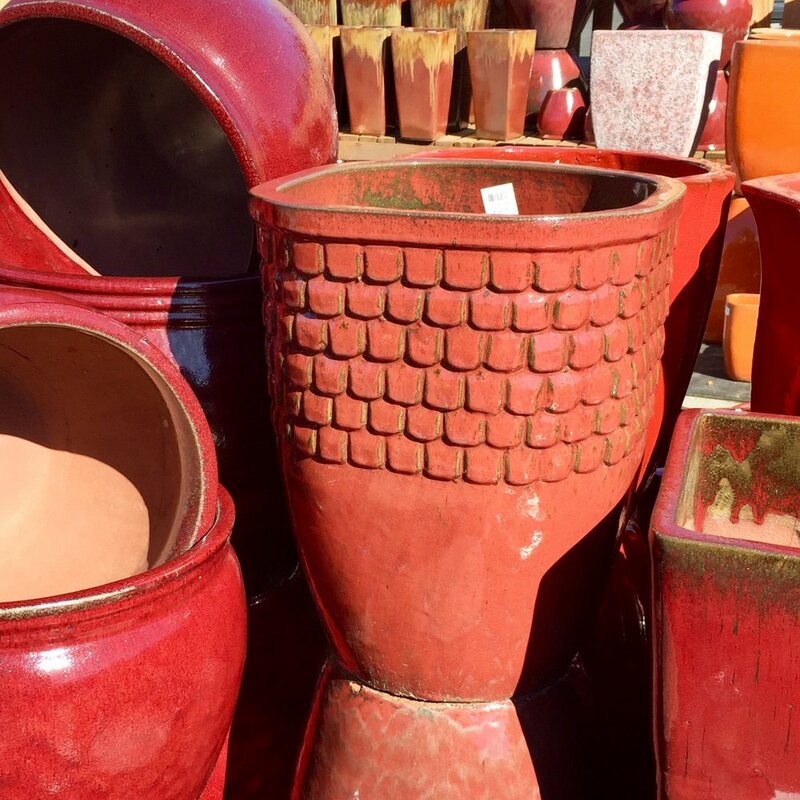 Think about different heights and textures of plants to add interest to each container design! Copper tape. This handy tool is great to line your pots or gardening areas with to protect them from slugs. Pot feet. Protect your deck! Black pot risers perfectly hide underneath your pots. While crafting a plan, think about creating different heights, textures, and focal points. Come in and talk to our experts for personalized suggestions! Statuary. A little accent here or there can make your space feel more personal and interesting. *Each garden situation is unique! Make sure that when you come in, ask one of our nursery experts about your garden. Check that the soil amendment is best for your garden and that the plants are well suited for the space and light conditions. For those of you with one eye on your lawn, we haven’t forgotten about you! We know all about the squishy lawns out there that are in need of a face lift. Check out this page from our NW Gardening Tips for pointers on refreshing your lawn. These product and plant lists may be a useful reference, though they aren't intended to be comprehensive for every project. There are a lot more options than what is listed. Use this as a guide, then come in and talk to us about your garden needs.